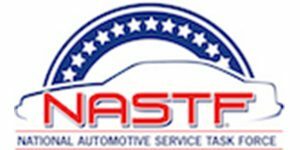 The National Automotive Service Task Force (NASTF) has announced the agenda for its Spring General meeting, which will be co-located with The Equipment and Tool Institutes (ETI) Annual ToolTech Conference, taking place April 29 to May 2 in Charlotte, North Carolina. The NASTF general meeting will be held from 9 a.m. to 12 p.m. on Thursday, May 2, following the close of ToolTech. The NASTF Spring General Meeting agenda will feature a session titled, “Stop Eating Our Young,” where experts will help attendees learn techniques to properly, select, on-board, mentor and fast-track knowledge and motor skill development for young technicians in an effort to help reduce the 42 percent of new technicians who leave the industry within the first two years. NASTF will feature presenters from the North Carolina Vocational Education Program as well as the ASE Education Foundation. The session will be led by Team Education Co-Chair Jill Saunders. Also on the agenda for the spring meeting, the newly formed Service Technology Team will present their 2019 plans for modernizing the NASTF web presence and offerings. Team Vehicle Security will give attendees a view into all the things they have learned and accomplished during the first few months of the release of the SDRM 2.0 web portal. They also will be showcasing a new addition to the D1 use cases within SDRM that aims to reduce vehicle theft and false reports of thefts. The session will close with the popular “What’s Up with You?” session that encourages attendees to share brief stories about activity within their segment of the industry that would be of interest to all. NASTF General meetings are open to all industry professionals and do not require registration. Tool Tech attendance does require registration and is highly recommended. More details can be found at https://www.etools.org/events/tooltech-2019.